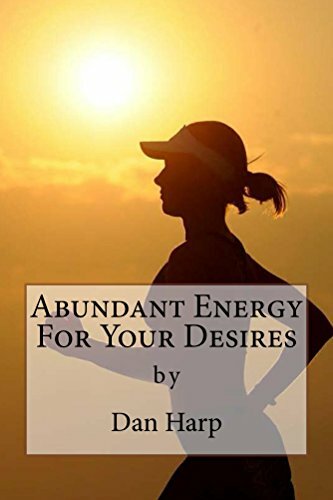 Abundant Energy for Your Desires is an incisive guide to getting back to basics and learn how to effectively use nutrition, sound and mind body techniques to cleanse your body, become stress free and resilient, overcome fatigue, rebound from injury and disease, handle people better, and decalcify and activate your mind body for awakenings of all kinds. Learn to use sound effectively with brainwave entrainment for in-the-zone studying, working smarter not harder, meditation, relaxation, stress reduction, accelerated healing and heightened vibrational experiences. Energize your mind body with effective techniques to relax, restore, rejuvenate and rebound to overcome your challenges and excel with abundant energy for your desires. Although this guide is loaded with informational and inspirational resources and links throughout, the final chapter covers advanced tools for your tool belt to help you take everything to the next level with progressively increasing experiences and health. The author, Dan Harp, has years of experience expanding consciousness, overcoming health conditions, developing mind-body exercises, taking control of his physiology, and archiving ever increasing states of awareness and awakenings. Now for the first time, he is sharing his firsthand knowledge and experience, related research and loads of effective tools for your tool belt to help you rise above your challenges and enjoy all the abundant energies of your desires.